Here you go boys...... you just found your new sweet heart! Why oh why did Fuel Off-Road pick the name Anza you ask? The name Anza means: "Often wants most attention from guys and has good intentions. If she finds one man, she will stick to him no matter how in love he may be with another woman." 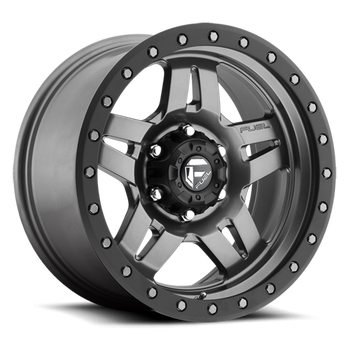 Pick up a set of the Fuel Anza rims with a matte anthracite finish with a black ring! Lowest price guaranteed!